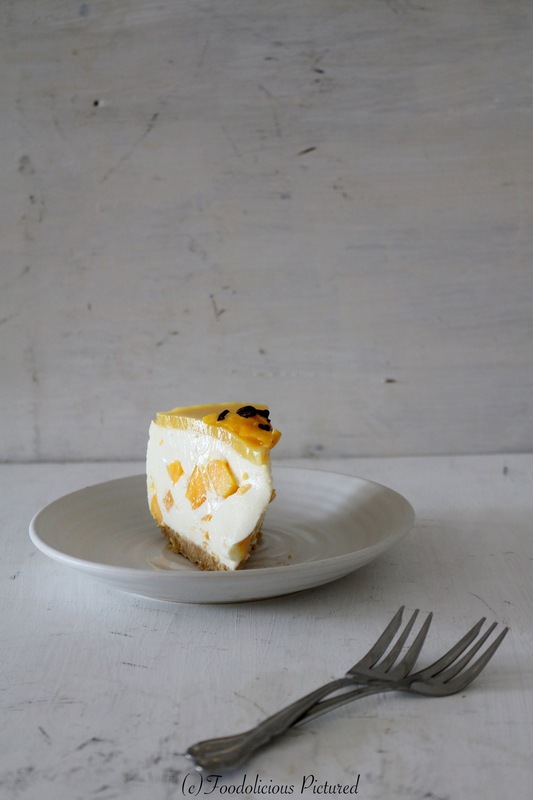 I love Cheesecakes, and even more so making it! With no baking involved, it’s so satisfying to transform all those beautiful ingredients to a work of art – which can please all your senses. 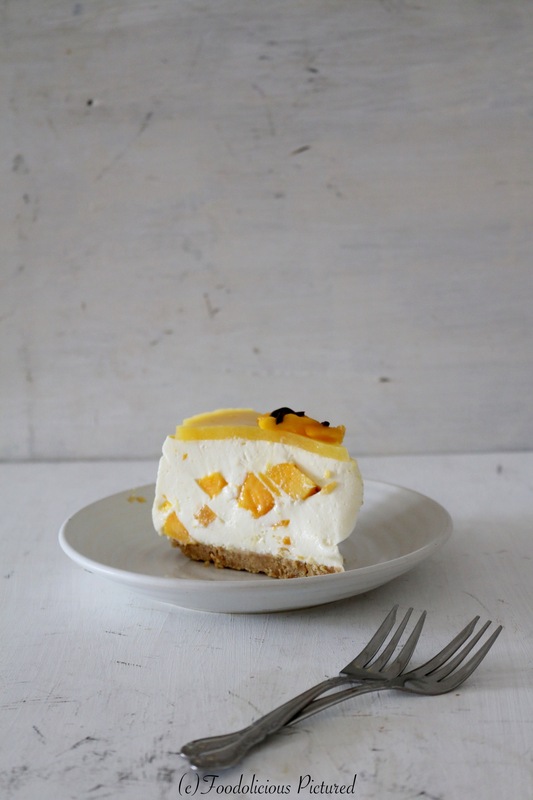 The tropical sweetness or mango, paired with cream cheese and Greek yogurt – this is just so amazing! To make the cheese cake, crumb the biscuits and butter in a processor. Press down the crumb mixture into the bottom of a 6’’ round spring form pans. refrigerate for an hour or until firm. Sprinkle the gelatin in the hot water. Mix well and set aside to cool. 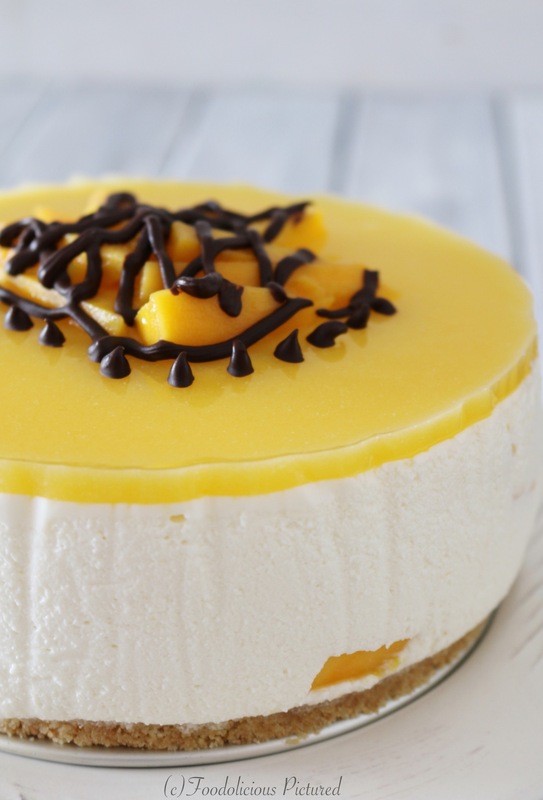 Whisk the cream cheese, yogurt, Mango flavor and icing sugar in clean blow till well combined. Add the gelatin, mix well until smooth and well combined. Stir in the chopped mangoes. Pour the mixture over the prepared biscuit base and refrigerate overnight. Prepare the mango glaze, Sprinkle the gelatin in the hot water. Mix well and set aside to blossom. Combine the sugar and gelatin and stir until dissolved. Add the mango puree and stir well. Spoon the glaze over the cake and return to the fridge to chill for another 2 hours or till set. 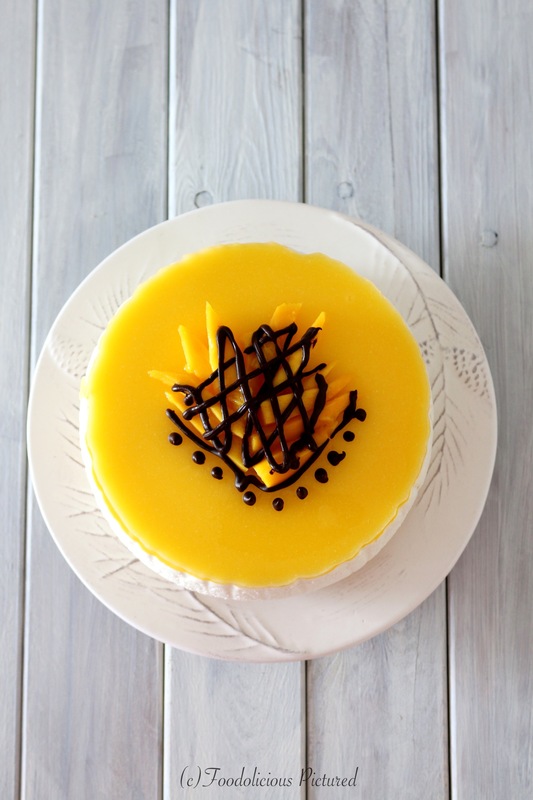 Before serving garnish with mango slices and drizzle the melted chocolate. Will have to bookmark this recipe. This cheesecake looks delicious!! And i love mangoes! 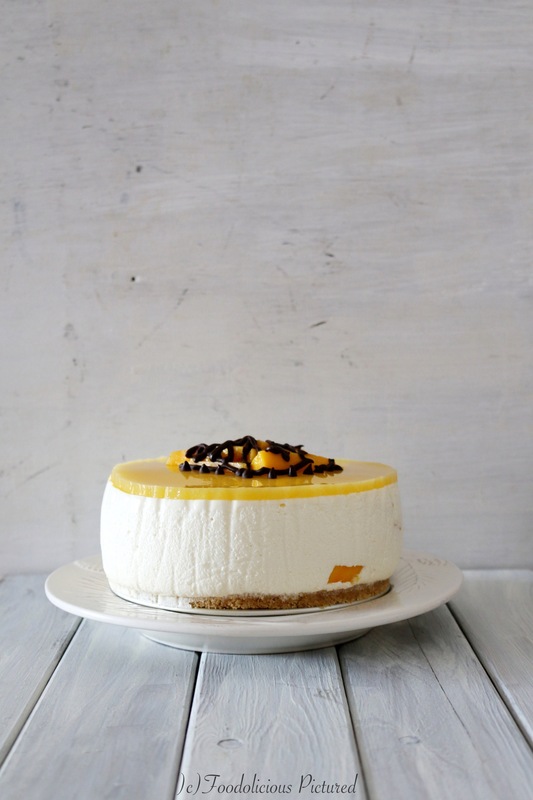 Its a gorgeous cheesecake! The cheesecake speaks for itself and you don’t any words to describe it! Loved the first and second shots!